At dealchecker we do love being able (paid, even!) to gaze at stunning pictures of the world’s natural scenery, though it can bring on extreme bouts of jealousy that we’re not there right now. And it’s pretty hard to beat a good lake picture. That’s why we’re singing the praises of heading to a lake for your next holiday. Whether you’re exploring our own home-grown lakes in Cumbria or Scotland on a hiking jolly, lazily drifting around the sunny Italian Riviera or hitting the slopes in the snowy Canadian Rockies, the world’s lakes are second to none if you’re after a peaceful getaway with spectacular scenery. Read on to find out which lakes made our top 10. Of the four million or so annual visitors to Banff National Park, a UNESCO World Heritage Site, it’s a fair bet that the majority won’t leave without a camera full of lake shots. Best-known is Lake Louise, AKA Canada’s ‘Diamond in the Wilderness’, with glaciers, waterfalls and mountains all coming together to create one incredible panorama. Skiing is a popular activity here and Lake Louise Mountain Resort is just one of three ski resorts in the area. 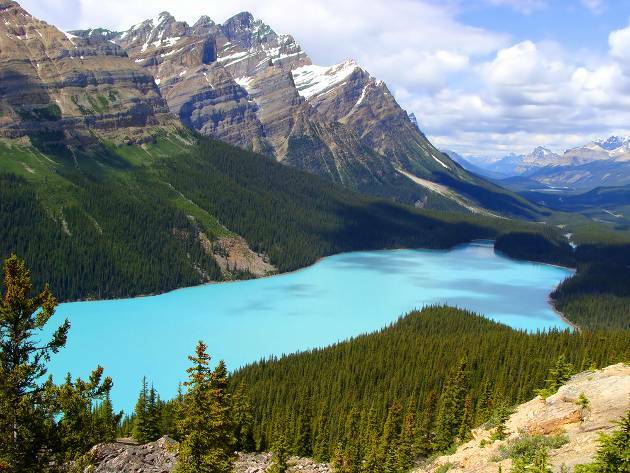 About 30 miles north of Lake Louise you’ll find Peyto Lake, which we’re told truly is that colour in real life! Well, some of the time, depending on the time of year; around June and July it tends to change from dark blue to an intense green. For the best viewpoint, head up to Bow Summit, the highest point on the Icefield Parkway. Hopping around the Greek islands is one of our favourite kinds of holidays. 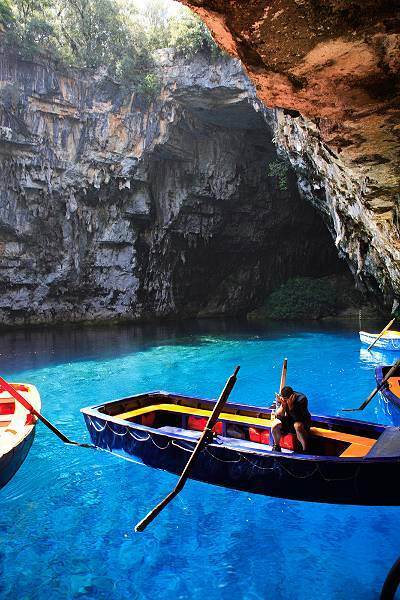 As well as the beautiful beaches and heady ouzo-filled nights out, these getaways tend to be full of hidden gems like the Melissani Lake Cave in Kefalonia. Also known as Cave of the Nymphs, this grotto is largely concealed by forests but is nevertheless a popular attraction with regular boat tours around the lake within. The best time to visit is in the middle of a bright day when the sun’s rays light up the water and reflect a brilliant shade of aquamarine off the cavern walls. 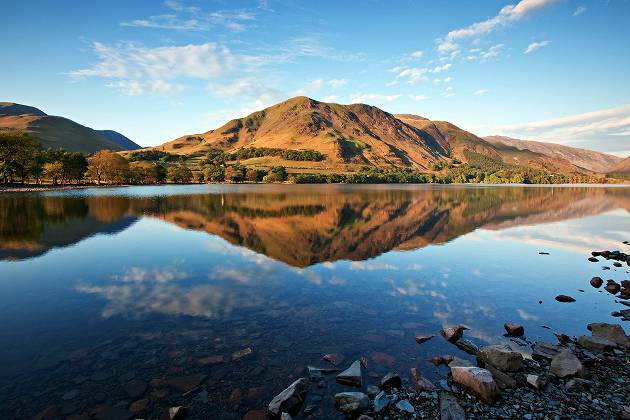 It’s true that several of the lakes on this list can be found in exotic, far-flung climes, but of course we’re not forgetting those that our own green and pleasant land has to offer – after all, there’s an entire national park in their honour! Windermere is England’s largest lake at over 10 miles long and is a hub for boating fun and frolics, with a staggering 10,000 boats registered at the Bowness-on Windermere resort. Buttermere, as well as having a scrummy-sounding name, boasts some of the best walking country in the Lake District, including rambles to the summits of Haystacks and Red Pike. The beautiful scenery around Ullswater’s Glencoyne Bay provided the inspiration for William Wordsworth’s most famous poem, Daffodils, while peaceful Derwent water is a popular spot for those wishing to enjoy the surroundings away from the crowds. It’s easy to see why over a million people flock to central Croatia’s Plitvice Lakes National Park each year. 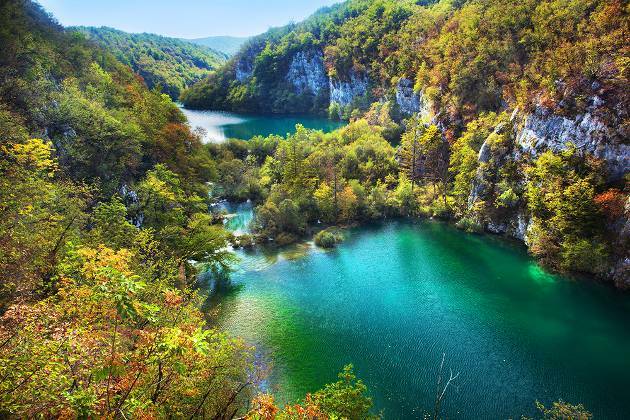 This UNESCO World Heritage Site is famous not only for being the oldest national park in south-east Europe but also for its 16 cascading lakes in stunning shades of green and blue. You can take your pick from an array of hiking trails around the lakes, waterfalls and forest groves, or take a boat out onto the water. Animal lovers are in luck as the park is teeming with wildlife including brown bears and eagles. Even the most spectacular pictures don’t do this scenery justice, so best get over there to check it out for yourself! 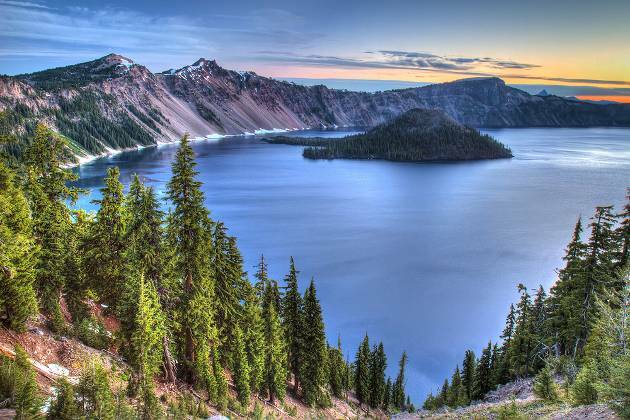 In the heart of Oregon, Crater Lake was formed over 7,000 years ago by the collapse of a volcano and remains an object of awe among visitors, with stories of its creation being passed down through the centuries. It’s the deepest lake in the USA at nearly 2,000 feet and attracts many a snap-happy tourist thanks to its deep blue hues. To enjoy a variety of outstanding viewpoints, get yourself on Rim Drive, which runs the 33-mile circle around the lake’s banks. Many visitors enjoy the vistas from the comfort of their cars, but this route is also popular with cyclists. Take note though; it’s a steep, winding road that won’t suit the faint-hearted cyclist! You can also enjoy stunning panoramic views from the peak of Mount Garfield, or gaze at the mountainous backdrop from your own private boat. Located in northern Italy between Venice and Milan, Lake Garda is the largest lake in Italy, but it tends to be Lake Como that more often than not grabs the spotlight. But while admittedly Lake Garda doesn’t come with the cachet of having a Hollywood megastar living on its shores, it’s a gorgeous holiday destination with majestic mountains and hills bordering its electric blue waters. 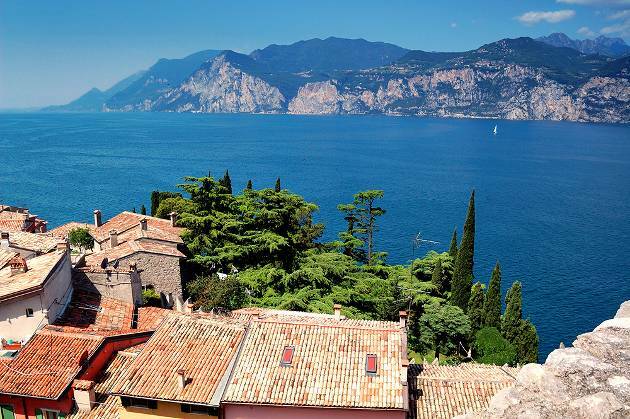 With activities like cycling, windsurfing or simply wandering through sun-drenched olive and lemon groves, Lake Garda really does let you get away from it all in tranquil surroundings. 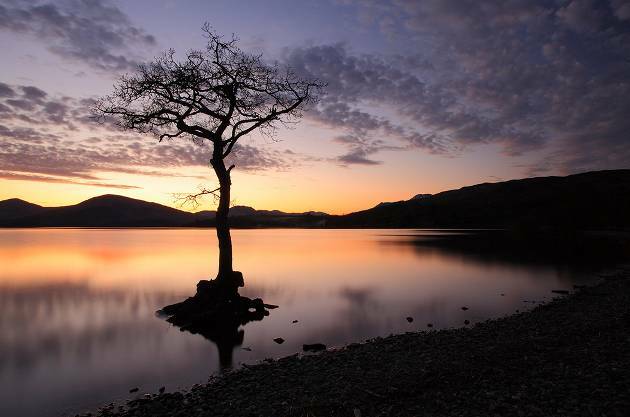 2013 is the Year of Natural Scotland, with celebrations of the country’s outstanding natural beauty happening throughout the year, so what better time to pay a visit to the UK’s largest lake, Loch Lomond? Just 20 miles north of Glasgow, this 24 mile-long loch and the surrounding national park offer activities galore, from water-skiing and canoeing to target shooting and 4×4 off-road driving. Golfers will be in their element with over 50 courses to choose from, including the former host of the Scottish Open, Loch Lomond Golf Club. 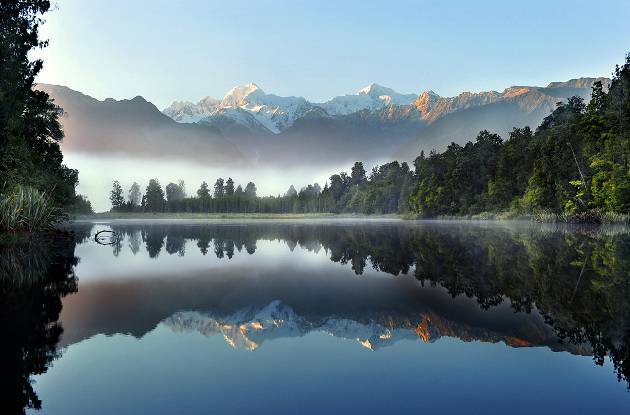 For a natural optical illusion like no other, check out Lake Matheson in the heart of Glacier Country on the west coast of New Zealand’s South Island. Formed by the retreat of the nearby Fox Glacier, this natural phenomenon rightly earned its nickname Mirror Lake thanks to its magnificent reflected views of Aoraki (Mount Cook), the highest peak in New Zealand, and Mount Tasman. You can enjoy superb views by taking an easy walk over the Clearwater River suspension bridge which continues into ancient forest and ends up at the Jetty Viewpoint, a pontoon extending over the lake. Visit at dawn or dusk to take advantage of the best photo ops when the water’s at its stillest. 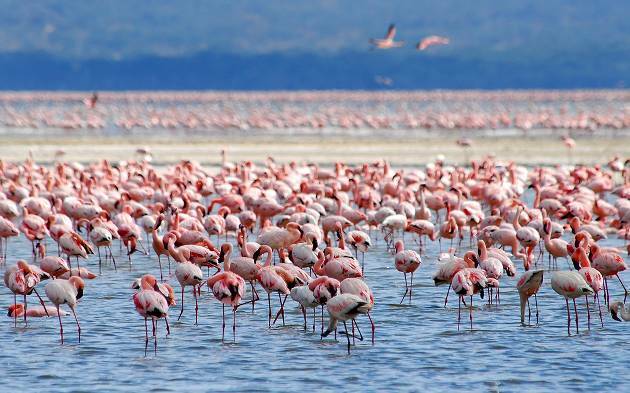 By no means one of the largest of the African lakes, Lake Nakuru in Kenya is an arresting sight thanks to the thousands of pink flamingos basking on its banks. Located 100 miles north of Nairobi, it’s a great place to catch sight of assorted wildlife, from warthogs to rhinoceros. One of the best vantage points is at the top of Baboon Cliff. Nakuru is dwarfed by Lake Malawi further to the south, which is said to contain over 1,000 species of fish. You might spot a fair few of them if you’re indulging in the many water sports on offer, because Africa’s third largest lake boasts some of the clearest water around, fringed by golden sandy beaches. Beautiful lakes exist in abundance in South and Central America, meaning it’s really hard to choose which to shout about first. 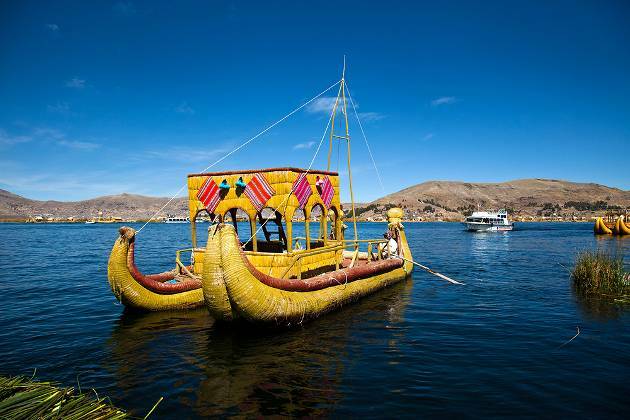 In the end we plumped for Lake Titicaca on the borders of Bolivia and Peru for the picture above. Located up in the Andes, it’s often called the highest navigable lake in the world, with navy blue waters flanked by rolling hills and valleys, old cathedrals and mountain ranges. All in all it’s a photographer’s dream. Our other favourites include the Yucatan Cave Lake in Mexico, a would-be secret water hole surrounded by limestone that’s revered as a gift from the Mayans, and the volcano-ringed Lago de Atitlan in Guatemala, where hiking, biking and kayaking between the villages on the shores are ever-popular with tourists. If you think there’s a different lake that should have made it into our top 10, let us know in the comment box below!